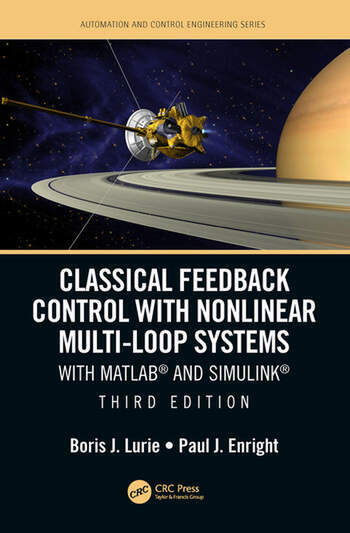 Classical Feedback Control with Nonlinear Multi-Loop Systems describes the design of high-performance feedback control systems, emphasizing the frequency-domain approach widely used in practical engineering. It presents design methods for high-order nonlinear single- and multi-loop controllers with efficient analog and digital implementations. Bode integrals are employed to estimate the available system performance and to determine the ideal frequency responses that maximize the disturbance rejection and feedback bandwidth. Nonlinear dynamic compensators provide global stability and improve transient responses. This book serves as a unique text for an advanced course in control system engineering, and as a valuable reference for practicing engineers competing in today’s industrial environment. Boris J. Lurie worked for many years in the telecommunication and aerospace industries, and taught at Russian, Israeli, and American universities. He was a senior staff member of the Jet Propulsion Laboratory, California Institute of Technology. Paul J. Enright currently works in the field of quantitative finance in Chicago. As a member of the technical staff at the Jet Propulsion Laboratory, California Institute of Technology, he designed attitude control systems for interplanetary spacecraft and conducted research in nonlinear control.